I love Brownies (this is my favourite recipe here). 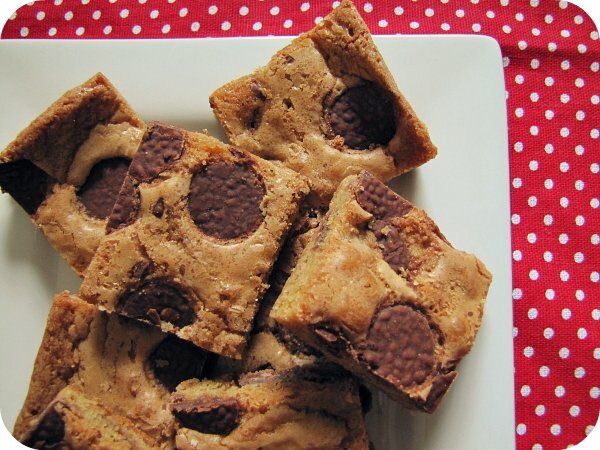 Recently I discovered Blondies, a non-chocolate, brown sugary version of Brownies, and totally delicious! I didn't have the recommended butterscotch chips to put into my mix, but chocolate chips worked out fine. So yum - keen to make these again soon! Preheat the oven to 175°C. Lightly butter and flour a pan. Whisk together the melted butter and sugar in a bowl. Add the flour, baking soda, baking powder, and salt, mix it all together. Add the butterscotch chips or other mix-ins. Pour into the pan and spread evenly. Bake for 20-25 minutes or until a toothpick comes out clean. Allow to cool. Cut into squares and serve. 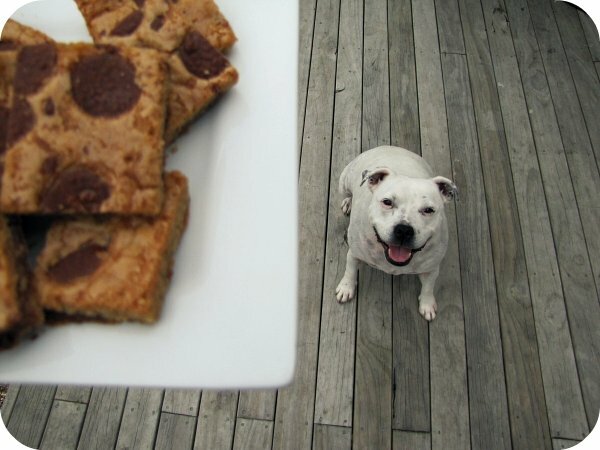 As you can see, Boo likes Blondies too. Must give these a try. I gave up chocolate and these look like a just-as-good-as-brownie treat that I can eat. Yum. Aw I hope Boo got to taste one...!! Go Boo, he knows when he is on to a good thing, brownies look yummy. Yum, these look great, & easy too.... and wouldn't they be fab with some chopped up Whittakers White Macadamia in them as an extra special treat! I love Blondies! Adding chopped up white chocolate to them is a nice variation as well (I love Milky Bars personally). I love how you added mega chocolate pieces to yours- I'm sure they won't last very long! 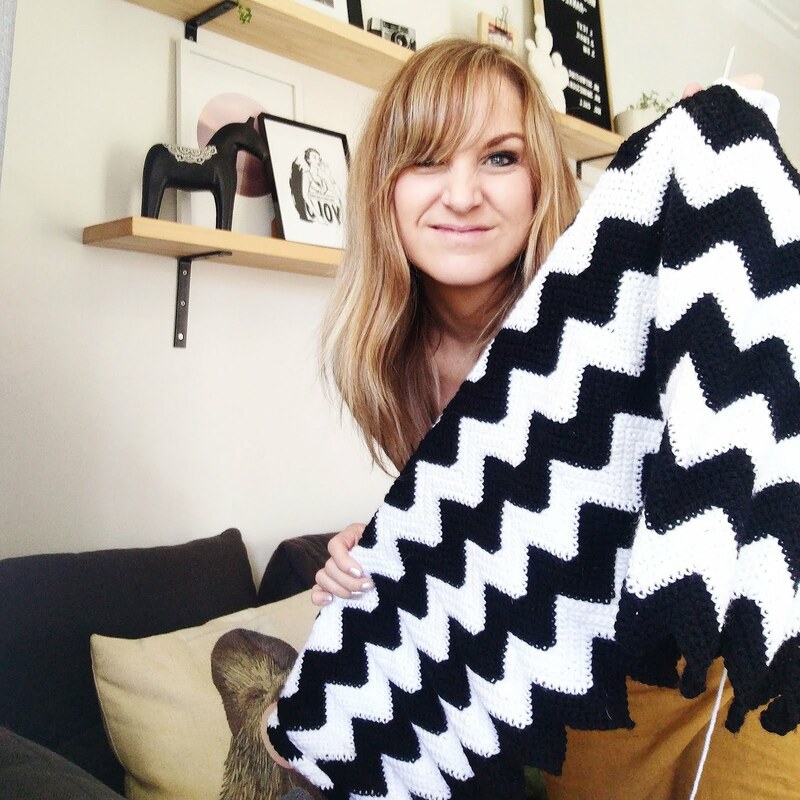 wow, these I will have to make!